Anyone have one of the MOPAR factory 50Watt 8" Subs installed? I see they are down to $108.00 now, and the install diagram doesn't look that tough. Do they add that much extra "uumph", to the factory AM/FM/Cass/CD? I'm not talkin' Rap, Dance thump, just some good solid bottom end. I really don't want to swap out the head unit just yet, but I do plan to change out the factory door and rear speakers w/ some Pioneer 3 waysI and add an amp to the rear 6X8's. I don't figure there is enough room where the rear speakers are mounted to get up much bass response, so a sub will probably be needed eventually. I've installed many of them for PT customers. I like the added octave with the gain dial at it's lowest setting. Beware the connector change from 2001 PTs to 2002 & newer. Get the correct sub for your year. guess it all really depends on your personal tastes. personally if i was going to get replacement speakers for the factory ones and i was thinking about amps already then i would just skip the 8" and get something else back there that you know you won't have to upgrade again. i could be wrong but it sounds like you want to get the 8" for now and then eventually add a bigger sub, i would just skip the middle part, save the money and get something you know you'll really like. i have 2 12's in the back of mine, but i'm the same way that i just like something extra to make things sound really deep and rich. i have the level and bass boost set on 2/10 and i can adjust how much bass i want with the equalizer on the factory head unit. turn it down for rock and up for hip hop and it works great. loud enough for me and not annoying for anyone else. The only prob I have with the Mopar sub is that it goes into the side bin in the trunk, which I find so handy for storage especially in the summer. All my car care poducts go in there, but that's the way it is when u have a municipal garage-no storge bins. The sound quality I'm sure wud b more than satisfactory for me. 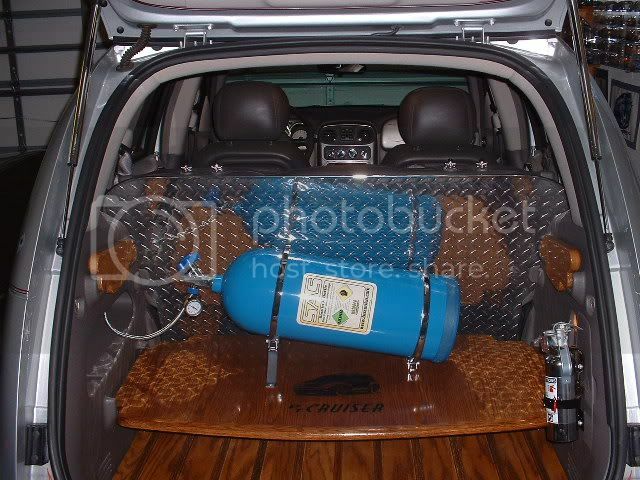 Under the seat wud b my route too, I need my trunk space!!!! It wud b too inconvenient for me to hafta take out a big speaker box for traveling or airport drop-offs now an again. Hey Gibby where did you see the Sub for $108? If you look at my gallery you will see the JL Stealth box I got. I still have all the trunk space. I still have the stock head unit and speakers and agian it really sounds good. Who needs trunk space...let the darn passengers carry their own luggage...groceries, throw em in the back seat. Does anyone know a way around the wiring problem with the 2001 model if I wanted to install the Mopar sub? I really like the fact it is hidden in the side storage space and wish there was some way to hook it up to my 01 radio. Great price on sub...others are so expensive. Any way to get around the wiring problem with the mopar sub and a 2001 ptc? Any kind of connector I could get?